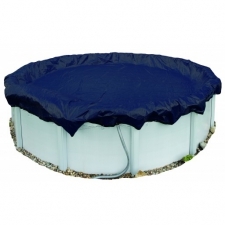 Rugged polyethylene scrim and coating means these covers can withstand winter’s worst. Arctic Armor covers are U.V. protected so they will last for years in direct sunlight. 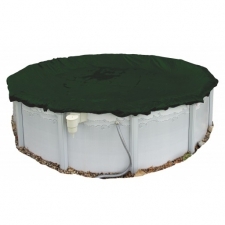 The cover’s black underside retards algae growth and heat sealed seams means a crystal clear pool next spring. The big 4 foot overlap ensures a proper fit and helps the cover from stretching and ripping like covers with 3 foot overlaps. Choose from 8, 12 & 15 Year Warranties. Please note that the longer the warranty, the better the cover material. 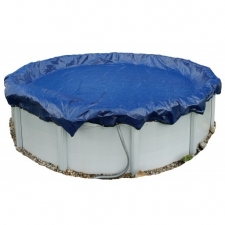 The cover is made of a more heavy duty material...and therefore more expensive. You decide which quality cover best suits your needs.